The Department of Food Safety and Hygiene has said that many eateries in Hanoi have promised not to use smuggled poultry that has unclear markings. On January 13, the Department of Food Safety and Hygiene conducted unscheduled checks of restaurants in Hanoi and the northern provinces of Hai Duong and Bac Ninh, to see hygiene conditions in kitchens ahead of the coming Tet holiday season--a time when poultry consumption is the highest. Their spot checks revealed that most restaurants don’t use poultry without clear markings and avoid smuggled chickens. Moreover, these eateries promised not to use food items and poultry meat that would be unsafe for their customers. This shows the determination of businesses to declare war on unsafe smuggled food items. 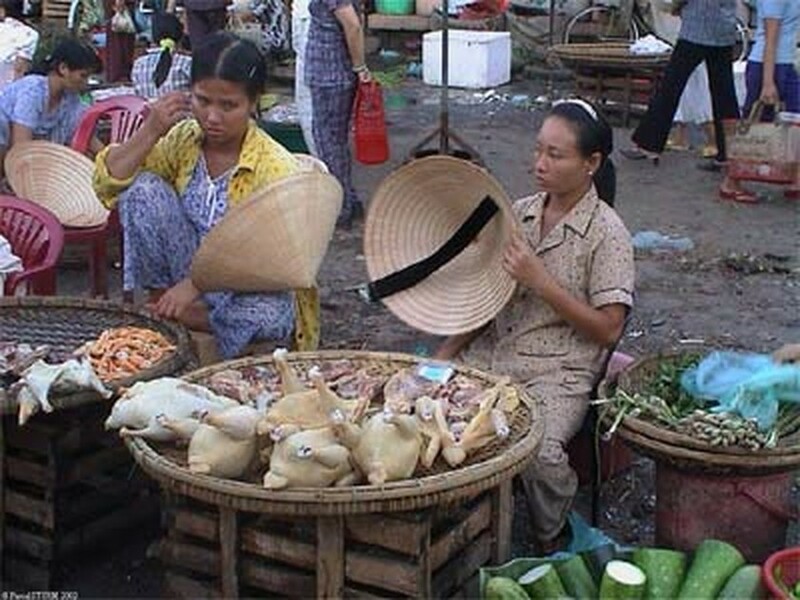 Tran Quang Trung, head of the department, said it is normal at this time, just ahead of Tet, to see transport and trade of unsafe poultry due to a high surge in demand. This increases the risk of consumption of unhygienic food and spread of avian flu in the country, badly impacting markets and the poultry sector. In addition, to ensure food safety, the Ministry of Health will liaise with Ministries of Industry and Trade, Agriculture and Rural Development and local administrations to launch a campaign to deal with food safety and impose harsh penalties on violators. Along with supervision campaigns, Ministries will step up propaganda and encourage people not to deal in poultry with unclear markings, in response to ‘Month of Safe Food 2013’. The Department of Food Safety had earlier announced that tests done on smuggled poultry via border crossing in the northern province of Lang Son showed that almost the entire lot contained banned toxic substances. Poultry sold in markets in Hanoi also contained similar banned substances including Sulfadiazin, that causes kidney failure, said Tran Quang Trung.